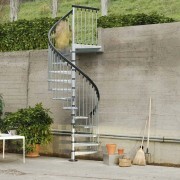 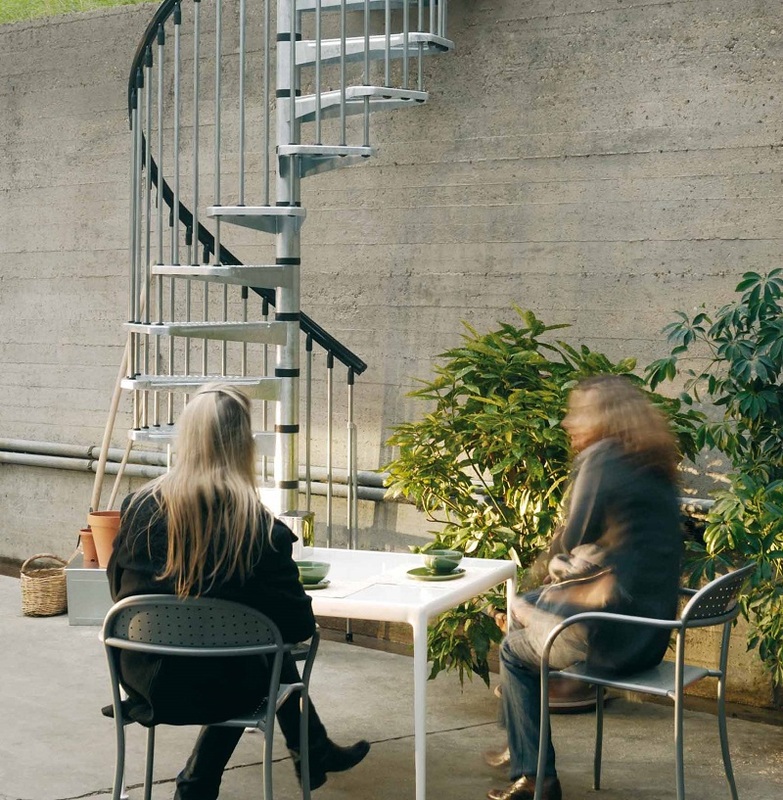 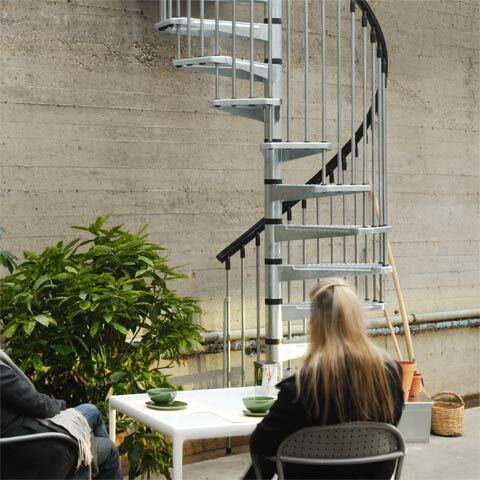 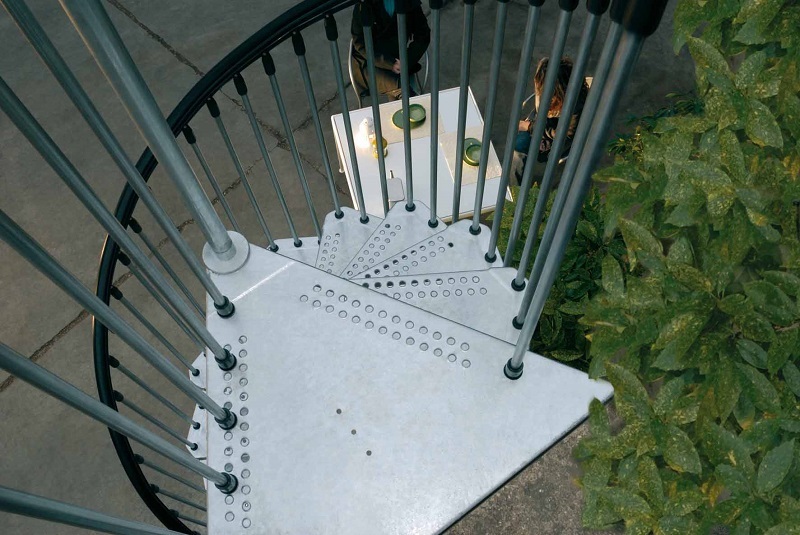 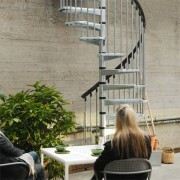 The Civik Zinc is an external spiral staircase that comes in three different options; 1.2, 1.4 or 1.6m. 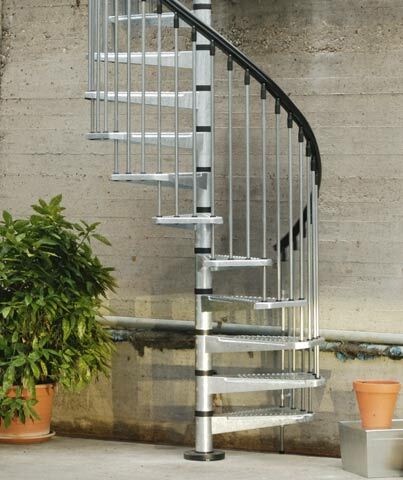 The steel treads are non slip perforated steel and the staircase has 20mm diameter vertical steel spindles leading to a black PVC handrail. 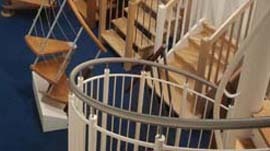 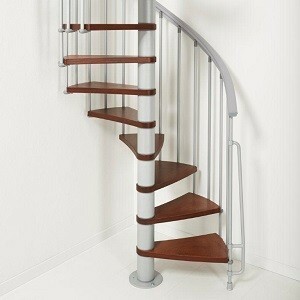 The stair is fully adjustable on site and can serve a number of different floor to floor heights. 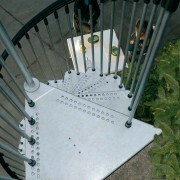 As it is an external staircase the steelwork is galvanised to protect it from the weather. 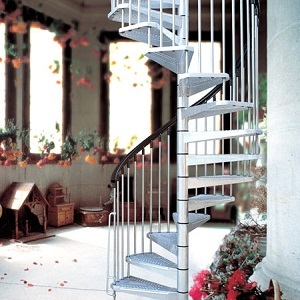 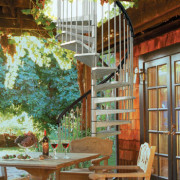 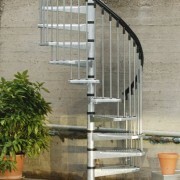 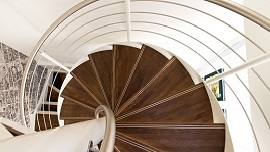 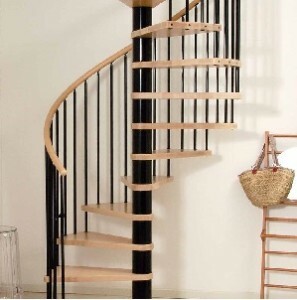 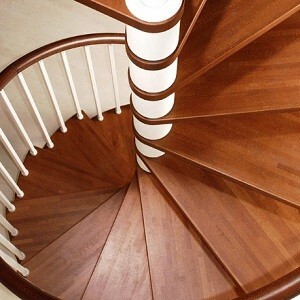 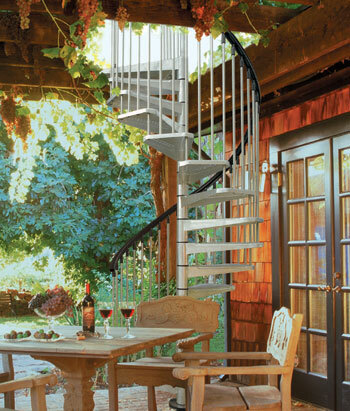 The Civik Zinc spiral staircase comes in three different diameters; 1.2, 1.4 or 1.6m. 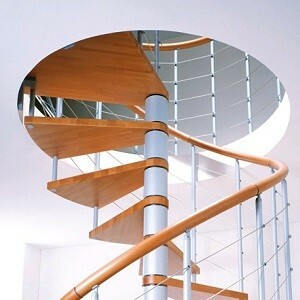 It also serves floor to floor heights from 2.1m all the way up to 3.76m. 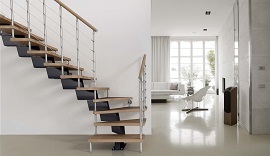 The rise per step is adjustable between 210 – 235mm. 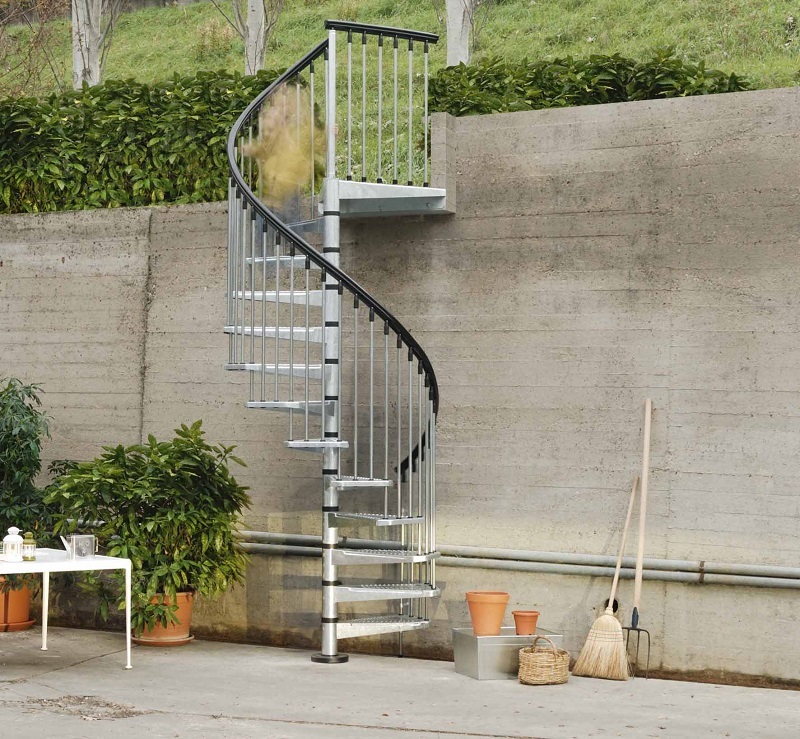 The Civik Zinc spiral staircase standard kit (13 risers) is priced at £ 999.00, £1,099.00 and £1,199.00 (including VAT and delivery) for the 1.2, 1.4 and 1.6m respectively.